Your Will is the most important document you will ever sign. It disposes of all of your assets (including your home) after your death. Despite this, it is estimated that up to 70% of the population do not have a current Will. Making a Will creates certainty, reduces worry and gives you the peace of mind of knowing exactly how your money, property and possessions will be dealt with after your death. A Will is a small investment to give you complete peace of mind and avoid financial distress for your loved ones. I am often asked by clients why the elderly, who have spent many years paying for their home, may now have to sell their home to pay for residential care and will not be able to pass it on to their children or other family. The rules governing residential care costs are complicated and are interpreted in different ways by different Local Authorities. If you have to go into permanent care in the community, you may have to pay for some or all of the residential care costs. The Local Authority will carry out an assessment of your income and assets. If your income is not sufficient to cover the residential costs (after allowing for a modest weekly personal expense allowance) it will then assess your capital assets. If it assesses your capital worth to be more than £23,250 you will have to pay all of the residential care costs without assistance. If it assesses your capital assets to be worth less than £14,250, you will not have to pay any of the residential care costs. If your capital assets are assessed to be worth between £14,250 and £23,250, you will pay a contribution towards the cost of the care until your capital assets fall below £14,250. In assessing your capital worth, the Local Authority will include anything you own that has a value, including your home or your share of it (less a 10% discount for notional costs of selling or the actual costs of selling, if the property is sold) and your share of any money held in joint accounts. However, if your partner is still occupying your home, the value of the house will be disregarded if you need to move into residential care. Also, if a relative aged 60 or over or who is disabled, an ex-partner who is a lone parent or children under the age of 16 are still occupying the house, the value of the house will also be ignored. At present, the Local Authority cannot force you to sell the house and cannot itself sell the house in order to get its fees paid. However, the inevitable result may well be the sale of the house if any other assets have a small value. The Local Authority also has discretion to levy a charge (similar to a mortgage) on the house if both you and the Local Authority agree (in which case, on your death the house will have to be sold to pay the fees). The Local Authority can even make you bankrupt to recover unpaid fees and the Trustee in Bankruptcy can recover assets given away up to 5 years before the bankruptcy. Many couples do not realise that they may be able to safeguard at least half, if not all, the value of their property simply by changing the way they own their homes combined with having an effective Will. Most couples own their property as 'joint tenants' which means that on either of their deaths the property passes automatically to the survivor. The survivor then owns the whole property and should they need to go into a care home, the whole value could be used to pay their fees. By changing the ownership to 'tenants-in-common', the first spouse to die could bequeath their share to whoever they like, perhaps their children or into a very simple trust so that the survivor is protected, stays in control and has the right to continue living in the property for life whilst the family receive it when both partners have passed away. Then if the survivor were to need to go into a care home, they could only be assessed as owning a half share of the property to pay their fees. This effectively safeguards a half share of the property for the next generation. However, the market value of your partner's share may be reduced to nil as it would be unlikely that anyone would want to buy it which would mean that the entire value of the property could be excluded from the means test. 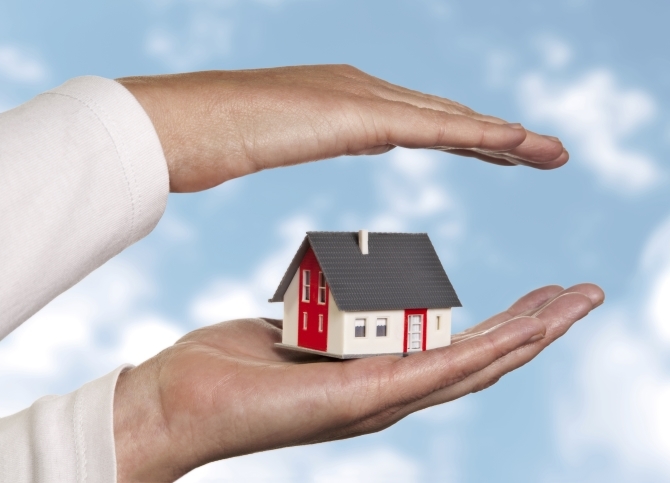 The result is that the whole property is protected and can be passed on to your family. The steps needed to make the change are straight forward and this may be an opportune time to review other aspects of your Will without additional charge. Please contact us for a no obligation, informal chat. What Happens If I Do Not Make a Will and What is Intestacy? Where there is no will, the intestacy rules apply which may not always achieve the desired result. The rules do not adequately accommodate second marriages, unmarried partners or stepchildren and in some cases, your husband or wife may not receive as much as you would wish. This can be disasterous. The Telegraph recently reported a case in which a woman was forced to sue her children in order to get full access to her husband's estate after he died unexpectedly without making a Will. If you have a large estate or no close family, then the situation could be very messy. Without a Will there is no opportunity to plan for Inheritance Tax. In October 2007, the Inheritance Tax rules changed. Married couples can now use their double tax free allowance on the first or second death without complex trusts which were commonly used. However, this is not automatic and care needs to be taken into account to ensure the information is available to claim the second allowance. If your current Will includes one of these trusts, there may still be reasons to keep the trust in your Will. We shall be happy to advise you as to the available options and the advantages or disadvantages of each. Under the intestacy rules, children could receive substantial amounts of money at age 18 which, for most children, is not the best arrangement. By using a Will, this cash can remain in a simple trust until the children reach an age specified by you. In the meantime, the assets are invested and managed by people chosen by you who have powers to use some or all of the money to benefit the children before the specified age if, for example, the children went to university. Without a Will, you lose an opportunity to plan for long term care. The impact of long term residential care for couples can be significantly reduced or even avoided using Wills. This is a very cost effective way to ensure your family receives as much as possible. What Do I Need to Consider When Making a Will? states who is to receive the residue of the estate. This is what is left after bills and legacies have been paid. The residue may be given to one person, for example your husband or wife or a group of people eg your children. You should also consider what would happen if one of your beneficiaries dies before you and who would receive that share of the estate in those circumstances. This could be the children of that beneficiary, someone totally different or the remaining beneficiaries may receive a larger share. Many people include funeral requirements in their Will which is particularly useful where funeral wishes have not been discussed. Trusts can be included to provide for children, disabled beneficiaries, a family from a previous marriage or to plan for long term residential care fees. Who Should I Choose to be Executors? The executors are responsible for administering the estate and ensuring your wishes are carried out. You can appoint as many executors as you choose but only the first 4 can act in the estate. The best choice is often the main beneficiaries of the estate so that they are making decisions for themselves. However, for various reasons this may not be possible. For example where the beneficiaries are young, abroad or where there is a potential family dispute you may choose another family member or friend. Acting as executor can be quite an onerous and responsible task. It is possible to appoint a solicitor, accountant or financial adviser instead although there may be charges for this. However, all executors should seek legal advice to ensure important matters are not overlooked as this could mean they are personally liable for any reduction in the value of the estate. It is useful if you have a rough idea of the value of your estate including your home, savings, shares, pensions and life assurance. We can then tailor the advice to your particular needs. Anyone can prepare a Will for you and charge a fee. Whilst you may save a few pounds at the outset, hidden charges can mean that the services of unqualified legal advisers are more costly in the long run. A recent investigation by Panorama uncovered cases where initial will-writing fees of £75-£100 escalated to thousands of pounds, with clients and families of the deceased then being charged fee percentages for handling estates after death, which they were never told about. When paying for a professional Will, it is important to confirm the adviser has appropriate training, qualifications, insurance and that there is somewhere to go if it all goes wrong. A recent study by the Society of Trust and Estate Practitioners found that 75% of its members have encountered cases of "incompetence or dishonesty" in the will-writing market in the last 12 months, including a company which approached young mothers in shopping malls, telling them their children would be taken into care after they died if they failed to make a Will. Hidden fees and will-writing companies going out of business and disappearing with their clients' Wills are common problems, as are Wills where incompetence leads to additional tax bills. Other mistakes may mean that your intended beneficiaries do not receive the gifts you wanted them to have. In Scotland, anyone who is charging a fee for writing a Will must be regulated. They must have an appropriate qualification and they must have proper indemnity insurance in place. At present, there is no protection in England and Wales meaning your adviser may be totally untrained, uninsured and without any form of regulation. We are a specialist niche firm providing only Asset Protection and Estate Planning advice. We can't handle your divorce or help if you're setting up in business but you will receive a first class service if you are looking to protect your home and savings or need to make a Will, a Lasting Power of Attorney or Administer an Estate. We will take the time to talk to you establish your aims, advise as to your options and the pros and cons of each. You will be given a firm quotation for each option without any obligation. You can then decide which option suits you. Like all solicitors, we are highly qualified and regulated by the Solicitors Regulation Authority. In the unlikely event that we did make a mistake, we are insured for up to £2,000,000.00.